And in fact, many players report no longer experiencing headaches after they slip in a Gyro. That alone is worth the price of admission! Have a Gyro on hand at your next helmet fitting to dial in the right size... feel the Unequal difference... and tell your team! Life is too short to deal with football headaches, head trauma, and side-lining concussions. No one says any product eliminates the by-products of this collision sport, but reducing the severity index inside a helmet does make a difference in how your head feels after a game or practice and does reduce risk of head injury. 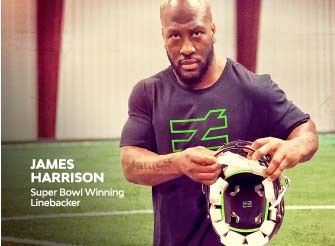 James Harrison, before he retired in 2018 as a heralded, all pro linebacker, played 7 seasons with Unequal Tech in his helmet, every practice, every game. He says part of the reason for his longevity was better head protection, thanks to Unequal. 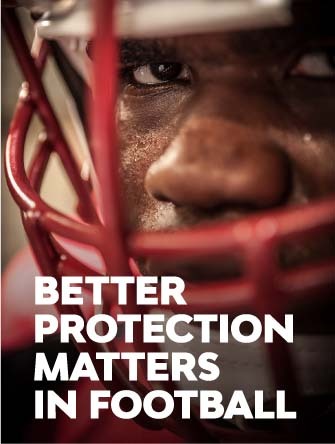 Protection matters in football! Put a Gyro to work in your helmet. Let our tech take the hits, so you don’t have to! 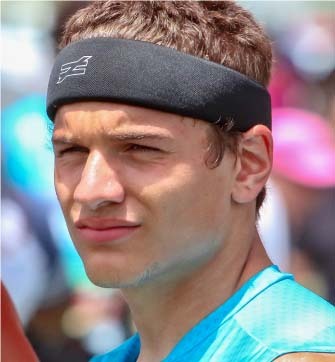 Unequal Halos look just like a headband but offer incredibly effective head protection in a lightweight, comfortable design. Each Halo includes patented NURO® protection that Virginia Tech, in their extensive independent research, found reduces concussion risk as mush as 77%. Fit, fashion, comfort and incredibly effective protection... that's Unequal Halo!